Crusader : Energy Drink Argument! Energy drinks are used everyday by different people. There are good things about it and there are bad things about it. I am against energy drinks because when you are at a young age, if you drink too much then you can die from it. I found out that they haven't approved Red Bull in France because of the death of a 18 year old irish athlete. 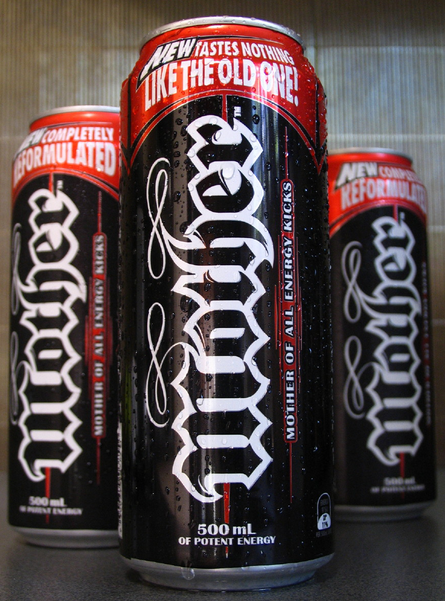 One of the main ingredients in every energy drink is caffeine. Lots of people around the world die because of too much caffeine in there body. In the year 2011, a young girl died at the age of 14. She drank 24 ounces of The Monster energy drink. Which is 480 mg of caffeine. There are many of sickness you can get from having too much energy drinks. One of the effects of having too much is a disease called heart arrhythmia. Usually you heart beats 50 to 100 times per minute. But when you have heart arrhythmia, your heart beats less than 50 times. 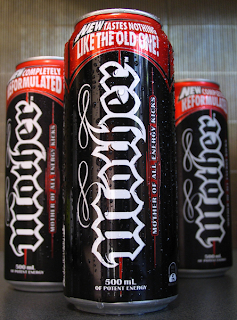 Another bad thing that energy drinks is that they are addictive. They are addictive because of all of the caffeine in it. Caffeine is a drug that people can get easily addicted to. The reason why caffeine is so addictive is because people don’t enjoy having it so they continue using it. These paragraphs tell you why I am against energy drinks.